hay framework, originally uploaded by akshath. 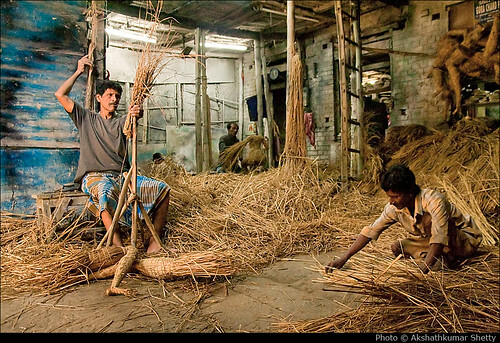 Hay and wooden framework acts as a skeleton for clay idol making. This was shot at Kumartuli (in Kolkata), West Bengal, This is the centre of the clay idol-makers of West Bengal. It is home and workshop to more than one hundred and fifty families of clay model-makers. 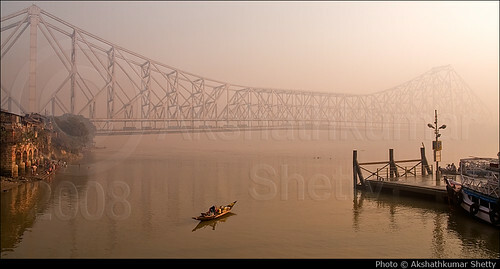 Howrah Bridge | Kolkata, originally uploaded by akshath. Shot at Kolkata, West Bengal, India.